Heather is our Campaign Co-ordinator and is the link between the group and the Association, making sure we have all the up-to-date information and materials to support the campaign messages. Usha and Sam will be chief supporters, making sure the group are actively involved in campaigns and asking people in North Wiltshire for help! 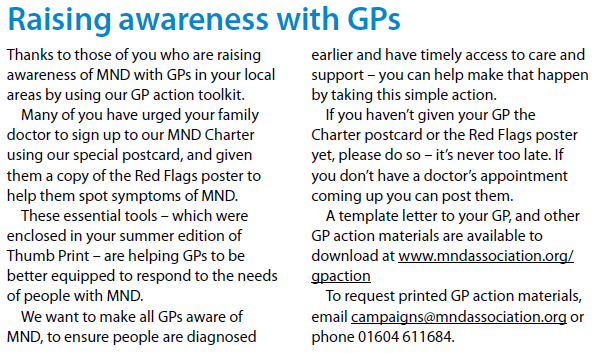 Our campaign team are focussing initially on raising the profile of the MND Charter and getting as many people as possible to sign it. 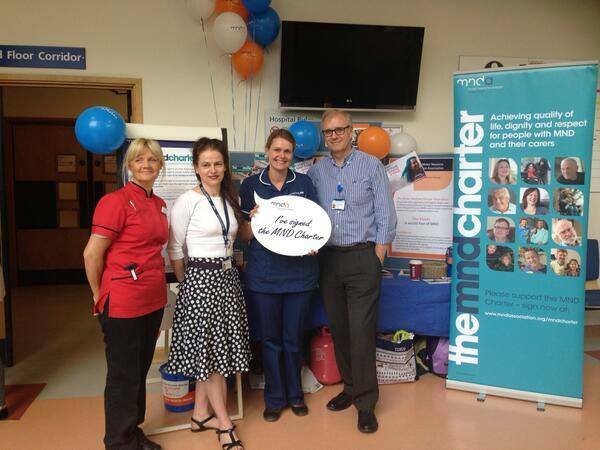 The MND Charter aims to raise awareness of the needs of people living with MND. This lack of awareness contributes to poor standards of care and poor experiences generally of the health care profession. 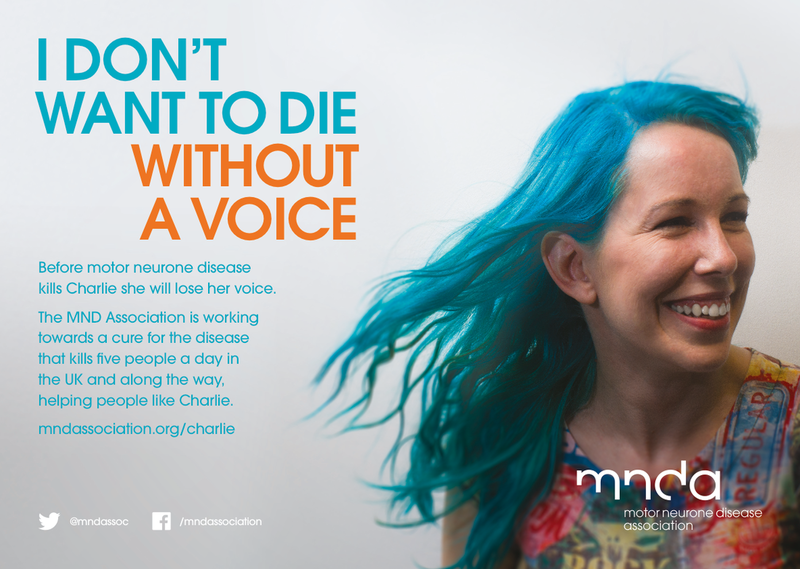 By gathering signatures supporting the Charter, the MND Association will be more empowered to debate with Government and health care providers that people living with MND need to receive the right care in the right place at the right time. Following the delivery of the Charter signatures to 10 Downing Street, over 130 Association volunteers, including many people living with MND, travelled to Westminster from across the country, to meet with MPs at a parliamentary reception. The event was organised to help raise awareness of MND and the Association with new MPs following the general election, and continue to build relationships with re-elected MPs. The #SelfiesAgainstSilence campaign... the aim was to get Norman Lamb, Health Minister, to agree to a meeting with the Association and Madeleine Moon, chair of the APPG, to discuss the 'Condemned to Silence' report. The campaign worked inside 24 hours, which is great! Heather gave a presentation on Campaigning at the first of this year’s regional conferences in Reading on 1st February and was brilliant! Watch from 1:45 to see her in action - Well done Heather for a great performance. On 27th January, our Campaign Contact, Heather, attended the MND All Party Parliamentary Group round table to launch their research report into access to communication aids for people living with MND. Heather was joined at the event by other Campaign Contacts from around the country and the roundtable was hosted by Madeleine Moon MP, Chair of the APPG and whose husband was diagnosed with MND in 2010. The contents of the report very clearly explain the difficulties people living with MND have in gaining access to the communication aids that they need to be able to have a voice and make choices in their lives and in their care. Whilst some areas of the country provide a reasonable level of access to these aids, many do not and the APPG report illustrates that the 'postcode lottery' of service needs to stop. Despite technological change revolutionising the opportunities available to people with MND who lose their speech, many people with communication impairments are not benefitting from new technology. People who are left without a voice have their wellbeing compromised. The impact of not being able to communicate is devastating for people with MND and those around them. Some people with MND are dying while waiting for equipment they need, and sometimes even dying while waiting for the initial assessment. Heather said 'It was quite a long day with the roundtable in the morning followed by a walk across to Speaker's House and a reception and speeches with many representatives of the local MNDA branches and groups. The debate at the roundtable was excellent, lots of really powerful points made. It is clear that we have a great champion in Madeleine Moon. 47 MPs attended the reception which was the highest turnout that the MNDA has ever had to its events at Parliament. The whole day was extremely powerful in raising awareness of the need for change in the process of access to communication aids and to follow the event with a mention in Prime Minister's Questions was fantastic. As the General Election looms, it will be interesting to see what happens next for the APPG and the implementation of the report. What is for sure is that the profile of the needs of people living with MND has never been higher amongst politicians and there is a real opportunity now for change. 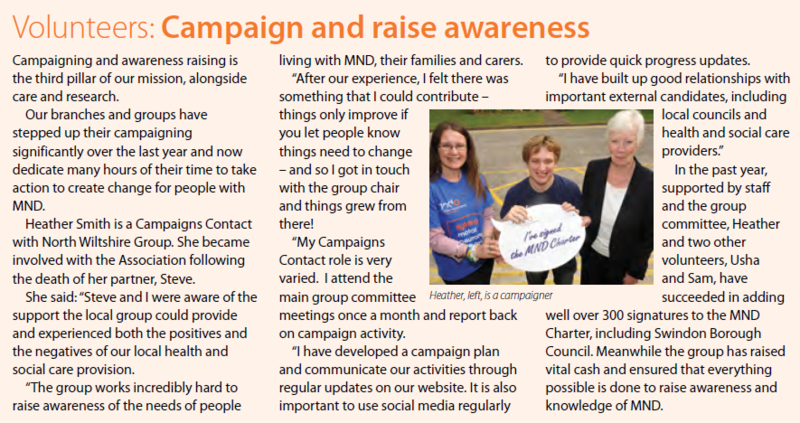 Heather attended the inaugural Campaign Contacts meeting with the MND National Campaign team on 25th/26th July. This was the first opportunity for all the regional Campaign Contacts to meet in person. The topics covered in the meeting included discussion of the role of a Campaign Contact, what it entails and whether people felt well supported; how to build even more support for the Charter; use of social media; working with Councillors and MPs. 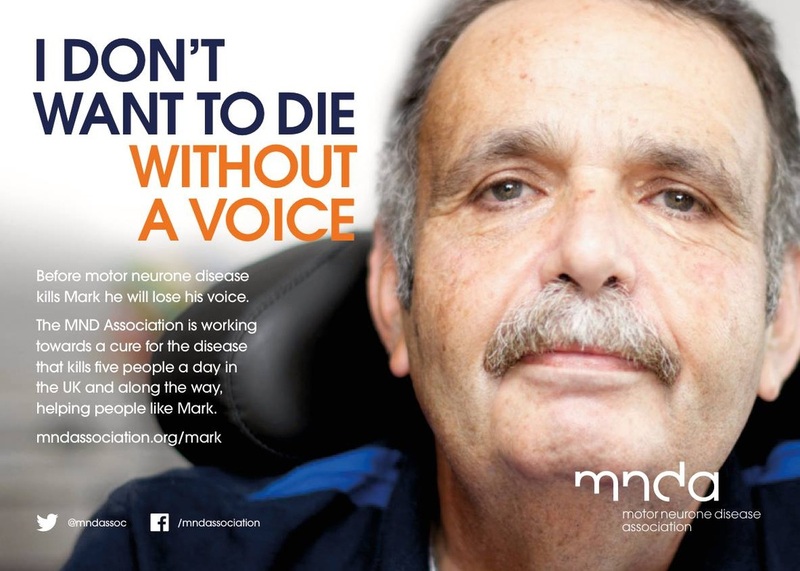 The next stage of the Voice campaign, which focuses on the availability of communication aids for people living with MND. 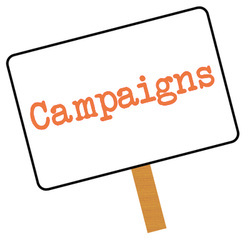 More details about this aspect of the campaign will be following shortly. We were joined by Jordan Newell, prospective Labour candidate for Colchester, and currently working in Hazel Blears office, for the session about contacting Councillors and MPs. Jordan gave some great advice for contacting and working with politicians. Jordan’s grandfather died from MND in December 2013 so he also had personal experience to speak from. The social media and councillors/MPs sessions were videoed, as were individual discussions with some of the Campaign Contacts. A short compilation video will be released on the MNDA website in due course. In July, we secured the support of Swindon Borough Council for the MND Charter. Heather and Sam from our Campaigns team attended the Council meeting on 17th July where the debate was held and agreement reached to sign the Charter. Councillor Ray Ballman proposed the motion and the Leader of the Council seconded it. Councillor Mark Dempsey, who signed the Charter at the our GWH event, also spoke positively in the chamber about the Charter and the necessity of its aims. We managed to get some publicity in the Swindon Advertiser – print and online – and the This is Wiltshire online news feed. There was also some great support on Twitter and Facebook. The MND National Campaign team are really impressed with our success! 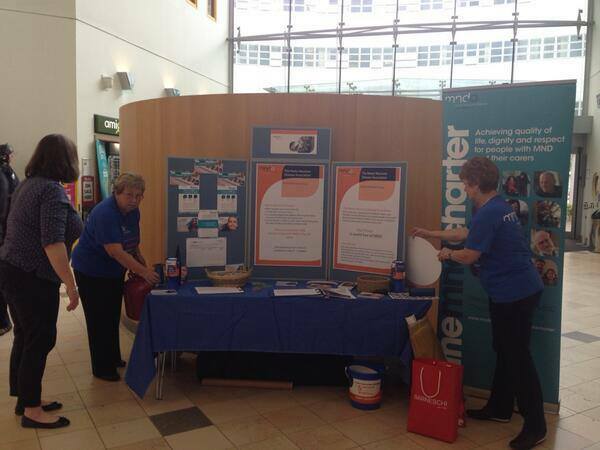 On 4th June GWH Swindon very kindly let us set up a stand to promote signing the MND Charter.